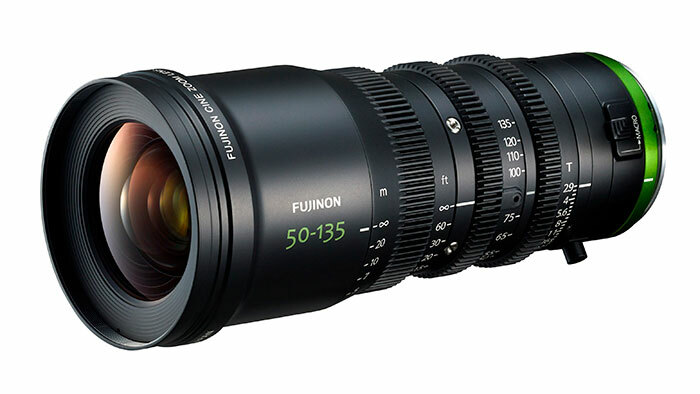 The MK 50-135mm T2.9 lens from Fujinon is part of the Fujinon MK cine-style zoom lens line. Built compact and lightweight, this e-mount lens covers Super 35mm sensors and has a standardized length and weight — matching the full MK series of lenses. With a fast and consistent T2.9 across the focal range, the 50-135mm boasts high-quality optics, low distortion, and colors standardized to align with Fujinon HK, ZK and XD series lenses. 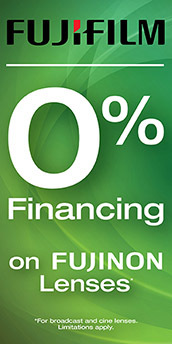 The Fujinon MK50-135mm T2.9 has a focus barrel rotation of 200° and features three independent rings for focus iris and zoom that are spaced uniformly across the MK series of lenses. Marks for each of these are clear and easy to read; each uses a standard 0.8M pitch gear. Features of the MK50-135mm include: adjustable flange depth, a macro function, and parfocal design. It matches the other lenses in MK series in length and weight, making it easy to switch between lenses without having to change settings or accessories (lighting conditions, matte boxes, etc…). This lens does not have any electronic contact points, but it does feature a macro focus function. The 50-135mm has a close focus of 99cm from the front of the lens without engaging the macro and that goes down to 64cm with it engaged and the lens set at 50mm. At 135mm it will focus at 92cm from the lens with the macro engaged. Q: Will the MK50-135mm lens work on the Sony FS5 and A7SII cameras? A: Yes, both the MK50-135MM and MK18-55MM lenses will work with the Sony PXW-FS5 and A7SII cameras, or any camera with E-Mount. Q: Does the E mount works on PL Varicam 35 ? A: No, the MK 50-135mm currently only comes in E-Mount and is not compatible with PL Mount cameras.